Calling all crafty mamas! Cowboom has a deal you’re going to LOVE today! You can get a Provo Craft Cricut 2000533 Gypsy Card Making Bundle for just $59.99! The regular retail price on this is $299, so this is a GREAT deal and this is the lowest price I’ve seen it! I don’t have a Cricut (yet?! ), but one of my blogging buddies actually ordered this the other day and said it came from Cricut!! My friends who have a Cricut machine think that they are awesome and they can do the coolest projects and create school projects that put the rest of us to shame, as well as awesome birthday party favors, rocking scrapbook pages, and more! Early Christmas present anyone? Gypsy machine – Stores up to 7,000 cartridges and up to 10,000 of your custom designsand projects. 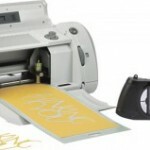 Cricut machine – Connects to the Gypsy to cut shapes and letters for creative card making, scrapbooking, paper crafting and more. Lightweight design – For easy designing from the palm of your hand. I’m guessing this won’t last long at this price, so hurry and grab one if you want one! If you’re not familiar with Cowboom, they are a Best Buy company and totally legit! If you are not satisfied with your purchase for any reason, you can return it for a full refund within 30 days! Provo Craft Cricut Gypsy Card Making Bundle only $49.99! Provo Craft Cricut Gypsy Card Making Bundle for as low as $74.99 shipped! 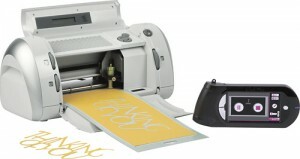 Provo Craft Cricut Gypsy Card Making Bundle $63.99 shipped + 20% off all other items on Cowboom! What a great deal! I feel like I “need’ one even though I never actually take the time to scrapbook. Unfortunately, the item is no longer available 🙁 BUT, I’ll keep my eyes peeled… what a great deal this was! Keep trying! I got an oos too, but they must be adding more stock in or something. Thanks Melissa! You’re welcome Megan! That’s one thing I love about Cowboom. They tend to replenish their deals throughout the day!